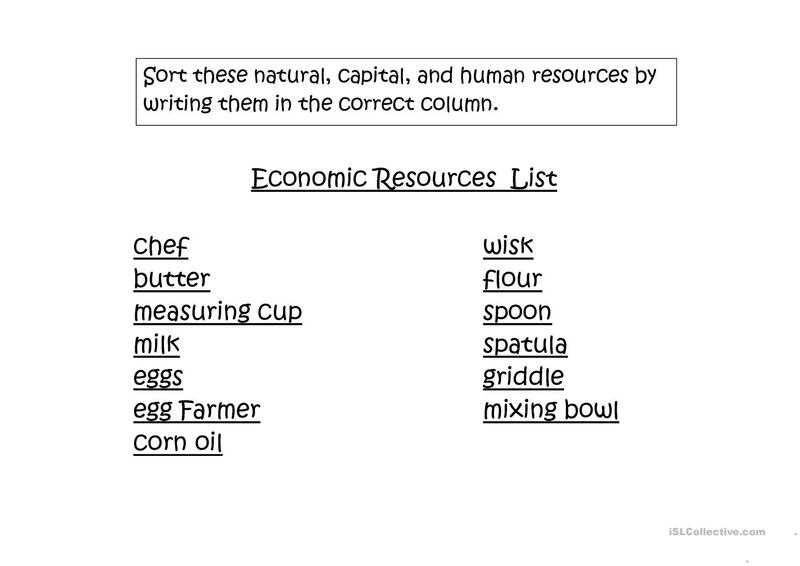 Students sort the economis resources needs to produce pancakes. 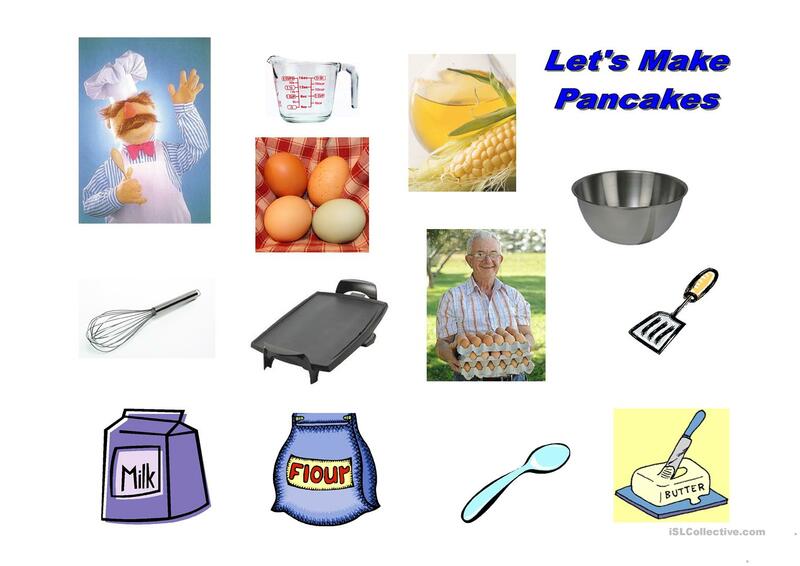 A great idea is to actually make pancakes with your students as you introduce Natural, Capital, and Human Resources. 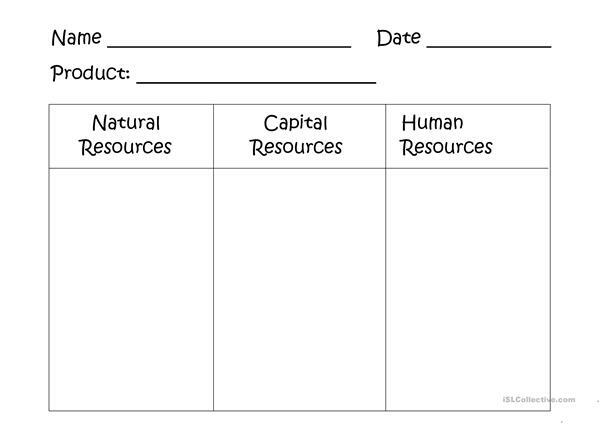 The above downloadable teaching material is a great resource for elementary school students at Elementary (A1) level. 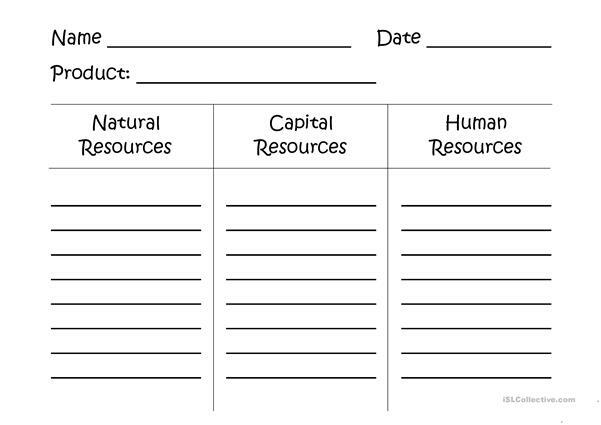 It was designed for working on your class' Listening skills. It is focused on the vocabulary topic of Jobs, work. Third Grade teacher in Maryland. National Board Certified. Loves teaching.